Michael Ramirez Summarizes the Problem! The House is already in recess. And today the Senate headed out of town. Today, the Senate met briefly for pro forma session. They agreed to return on Tuesday verses taking their schedule break. When the Senate returns, it will take up the motion to proceed to S.J. Res. 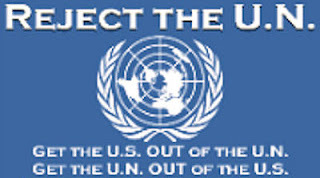 20, a resolution on Libya. Yesterday, the Senate voted 94-0 to confirm Gen. David Petraeus as CIA director. The AP reports, “President Barack Obama will be taking a break for the Independence Day holiday weekend. He'll travel to Camp David in western Maryland Friday afternoon, following some morning meetings.” Finally, the President or his WH advisers "might" have listened to bloggers, cartoonists, and others who have complained about his extravagant trips. Although he will be out of Washington, D.C., he will be using an already paid for government retreat location established for Presidents and their families. Camp David is secure and in reality an alternative White House without all the visitors and White House staff. The Vice President is also out of town but not in Delaware. Politico, reports, “Like President Obama, Joe Biden will be leaving Washington on Friday — but instead of relaxing at Camp David, the vice president will be talking to union members in Las Vegas.” When Biden talks with anyone, we should be concerned, but when he meets with the unions in Vegas, we need to be very concerned. 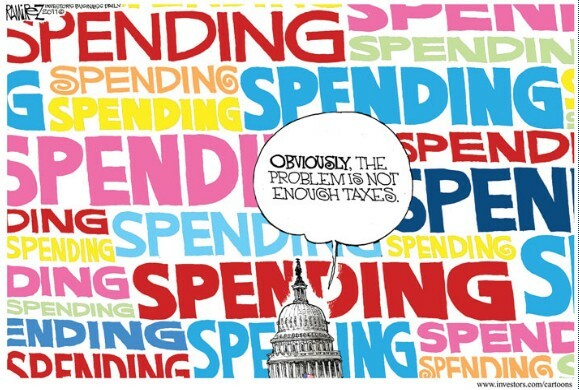 Conclusion: 4th of July in Washington, D.C. - Politicians Absent But Spending And Debt Still Present! 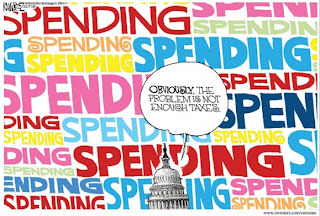 Tags: Today in Washington, D.C., US House, US Senate, Barack Obama, Joe Biden, absent, debt, spending, present, Michael Ramirez To share or post to your site, click on "Post Link". Please mention / link to the ARRA News Service. Thanks!